This hot spring park is located in the center of nature. 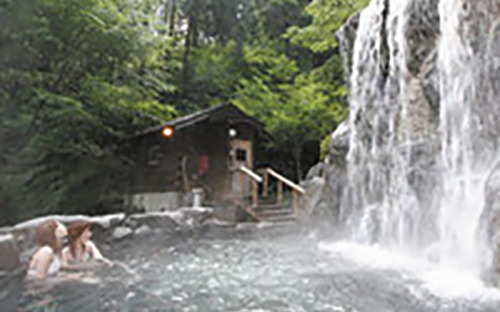 Refresh Park Yumura uses natural hot spring water from Yumura Onsen, that is 98°C (208°F) at the source. All the baths are coed as part of the park’s idea to let friends and family enjoy the health benefits of the 7 indoor baths and the seasons in the outdoor baths together. The swimming pool is an added specialty, it is heated year round by the heat from the hot spring. Unlike most other hot springs in Japan, guests must wear a swimsuit when using the outdoor baths.